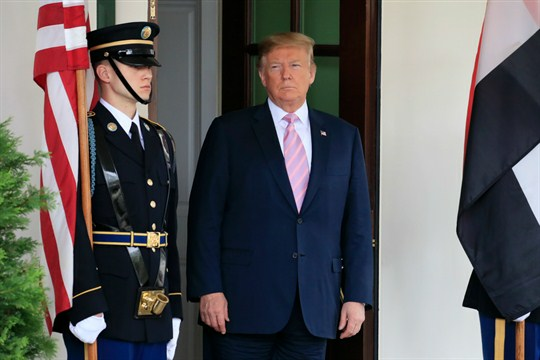 President Donald Trump stands outside the West Wing to welcome visiting Egyptian President Abdel-Fattah el-Sisi to the White House in Washington, April 9, 2019 (AP photo by Manuel Balce Ceneta). For critics of U.S. President Donald Trump’s approach to foreign policy, there is little more to do at this point than wait and hope: wait for the 2020 election, and hope that U.S. voters opt to replace him as president. But even in a best-case scenario in which America rejects Trump’s counterproductive “America First” agenda in 2020, the next president will face the daunting task of digging out from the ruins Trump will leave behind—and that’s assuming he does no further damage in the intervening two years.